Whether you're heading to the beach, skiing in the mountains, or simply sending your kids off to school, you'll really appreciate these weather event tips. From snow shoveling etiquette (yes, there is such a thing) to what to do in a natural disaster like a flood or hurricane evacuation, our weather experts can help. Learn what you need to have on hand and other helpful tips for surviving severe weather. 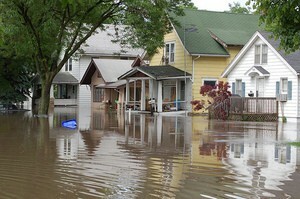 Flood cleanup is necessary for many of us at various times throughout the year. 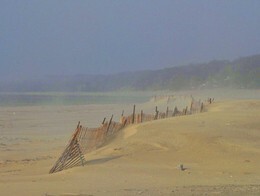 Be it a hurricane, severe storm, or a spring snow melt caused flooding, the problem is always just as bad. After all, floods mean serious business. 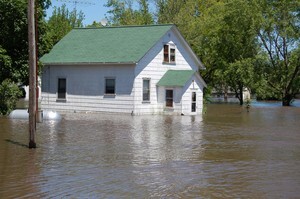 Check out 10 tips to help make flood cleanup a safer and easier task. 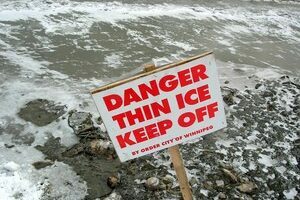 Winter means we tend to get cold hands and feet, slip and fall on ice, and risk getting windburn. 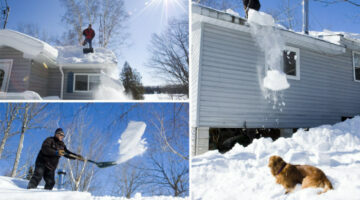 Check out some of the ways to combat these 3 common winter weather worries. 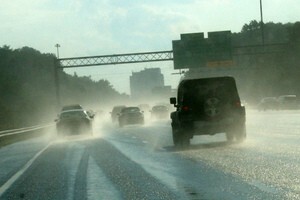 Driving In Bad Weather? Here’s What You Need To Know! Driving in bad weather is a cause of many auto accidents, but here are some tips that’ll help prevent bad weather car crashes and keep you safe on the road. Winter is a fun time of year for making snowpeople, snowballs, snow angels, and enjoying hot cocoa by a warm fireplace. But shoveling snow, being outdoors in the cold, and surviving freezing temperatures poses a whole set of special health risks. Heed these winter health tips and help save your life. 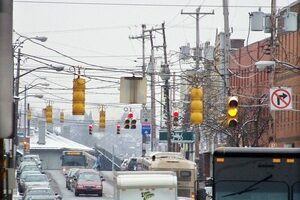 LED traffic lights might save money on the power bill, but in the winter they may cost your life. Find out why LED traffic signals may be dangerous during the winter and what may be done about this sticky problem. Fabric storm panels are an effective alternative to plywood and metal when preparing your home for an attack by a hurricane. Be sure you start preparing for NEXT hurricane season now! A snow fence can actually force snow drifts to form someplace else — keeping your driveway, car, or house free of a snow drift. Here’s what you need to know about snow fencing. Find out more about the two types of sunblock, what SPF ratings really mean, and what the difference is between sunblock and sunscreen. 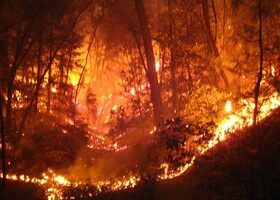 Following are some ways that you can protect your home and your property from a wildfire. 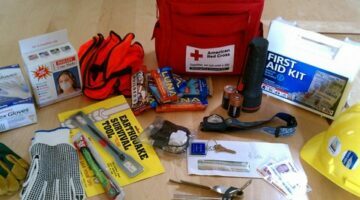 Remember, these are things you’ll need to do now… BEFORE a wildfire is present. After The Hurricane, How Long Could You Survive? Survival tactics and products that can make the difference between whether you and your family survive a hurricane or not. A tornado room — or safe room — is built inside your home, while a tornado shelter is separate from the home and can either be built underground or above ground. Both rooms and shelters can protect you from winds up to 250 mph and from flying objects moving at 100 mph. By the way, it’s the missile-like flying objects that are the most dangerous effect of tornadoes! Should You Open Windows During A Tornado Or Hurricane? Do you know if you’d be safer opening the windows in your home during a tornado or hurricane or not? Find out here. Remember, those who are least affected by bad weather are those who plan ahead and are prepared for it. After all, you know it’s coming. Maybe not today, but it will come! 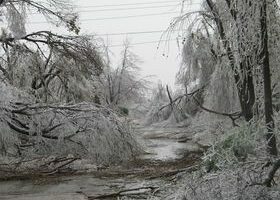 Here’s how to be prepared in the event of you lose electricity at your home after a bad storm. Every winter somewhere in this country an unusually heavy snowfall will result with some buildings collapsing under the extreme weight of snow accumulating on the roof. Though the nightly news may only converge on large industrial or commercial buildings that buckle under the stress, this is indeed a concern that every homeowner needs to take seriously. 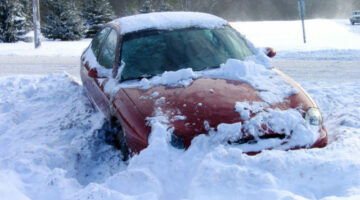 70% of the deaths that take place during a blizzard, happen to people who are traveling during a winter storm. Here’s what to do if your get stuck in your car during a blizzard. Even if blizzards are infrequent where you live, you should always be prepared for a bad winter storm — just in case. Here are 10 things everyone who lives in a wintery state should do… now! Hurricanes can be devastating and can leave behind all sorts of destruction …on people, as well as property. 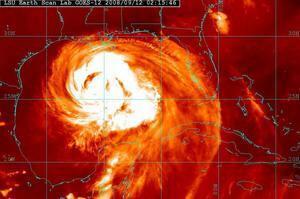 If a hurricane has passed through your area what should you do first? Here are some things you need to be aware of after a hurricane has done its damage in your town.